I&apos;m an amateur gamer who is a jack of all trades in his spare time. I also have an obsession with electro-industrial music. Kitty enjoying a nice shot of milk at the bar after a long day of hunting mice. Before the Internet, books banned by one city drove sales in others. Being "forbidden" can do more for your brand than the best marketing firm, and you don't pay a dime. If traffic goes UP 3 standard deviations in the place you've supposedly deployed technical blocks in, imagine how far it went up everywhere else. Folks, my grandmother, who hasn't used the Internet in her life, asked me if I could show her "the video". Because she heard on the news that "they deleted all the copies". But it gets worse: Guides for people in Australia to bypass the block include instructions to disable IPv6 at the router. Not only has New Zealand and Australia *DRIVEN TRAFFIC TO* the site in question, they also set back the whole Internet in terms of IPv6 adoption. Those of you who had "political memefare" in the what-will-unsecured-printers-do-next pool, come collect your winnings! Let's talk about banning stuff. Books. Websites. See that spike at the end? Where people posted one hell of a lot more than they used to? 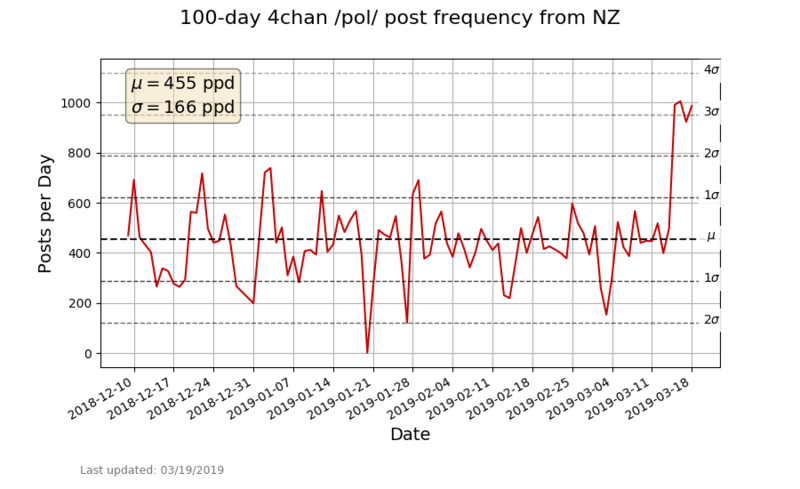 That's where New Zealand started blocking/banning 4chan. @Technowix It's kind of what the integration does, actually. Instead of posting a public toot with the signature string, the signature string is posted to a special page and saved separately. It is also confirmed to be real on our side. For example, if I just post some gibberish and claim that it's my Keybase proof, Keybase might know it doesn't actually work, but people on here wouldn't know unless they checked. With this method, it is checked automatically.